Two-photon microscopy (also known as two-photon fluorescence light microscopy) was invented in 1990 as a new method of imaging live cells and tissues in three-dimensions. Conventional fluorescence microscopy illuminates a specimen through the processes of excitation and emissions. Electrical stimulation of the brain is common practice in neuroscience research and is an increasingly common and effective clinical therapy for a variety of neurological disorders. However, there is limited understanding of why this treatment works at the neural level. Are you taking your time when feeding your pet? Fluffy and Fido are on to you -- and they can tell when you are dawdling. Single neurons in the brain's primary visual cortex can reliably detect straight lines, even though the cellular makeup of the neurons is constantly changing, according to a new study by Carnegie Mellon University neuroscientists, led by Associate Professor of Biological Sciences Sandra Kuhlman. It's a neuroscientist's dream: being able to track the millions of interactions among brain cells in animals that move about freely, behaving as they would under natural circumstances. New technology developed at The Rockefeller University represents a big step toward realizing that goal. Recording electrical signals from inside a neuron in the living brain can reveal a great deal of information about that neuron's function and how it coordinates with other cells in the brain. The protein amyloid beta is believed to be the major cause of Alzheimer's disease. Substances that reduce the production of amyloid beta, such as BACE inhibitors, are therefore promising candidates for new drug treatments. For the first time, researchers have followed the development of blood vessels in zebrafish embryos without using any labels or contrast agents, which may disturb the biological processes under study. It's the part of the brain that makes sure you cannot tickle yourself. The cerebellum, an apple-sized region near the base of the skull, senses that your own fingers are the ones trying to tickle, and cancels your usual response. Advances in microscopy techniques have often triggered important discoveries in the field of neuroscience, enabling vital insights in understanding the brain and promising new treatments for neurodegenerative diseases such as Alzheimer's and Parkinson's. Pericytes are the primary locus of matrix-mellaproteinase-9-dependent (MMP-9) capillary damage and blood leakage during ischemia, according to preclinical findings reported by Medical University of South Carolina investigators in an article published online on November 14, 2016 by The Journal of Neuroscience. The major challenge facing physicians treating Alzheimer's is the ability to detect markers of the disease as early as possible. 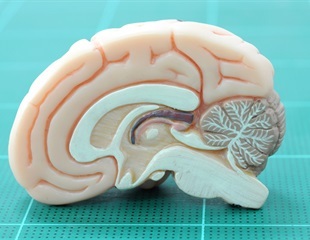 These markers, located in the brain, are difficult to access, hampering diagnosis. A new study shows that embryonic nerve cells can functionally integrate into local neural networks when transplanted into damaged areas of the visual cortex of adult mice.